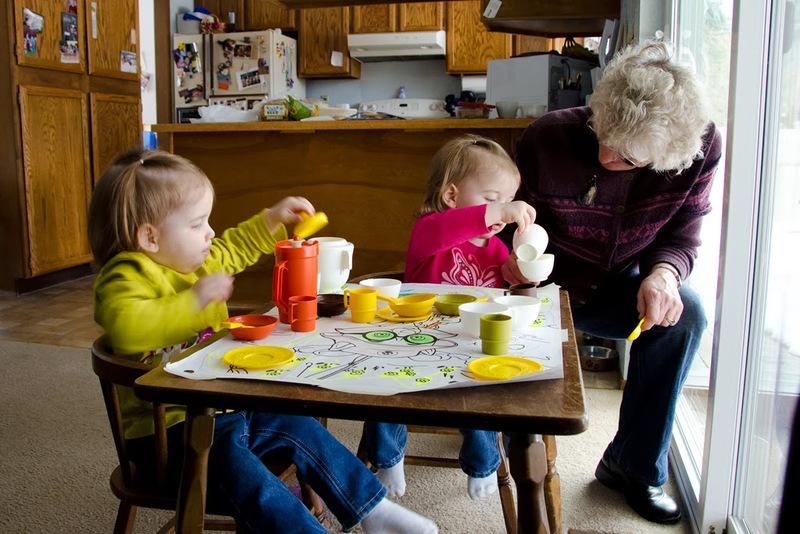 Welcome to Married Life: Wordless Wednesday: Tea Party at Nana's! Wordless Wednesday: Tea Party at Nana's! We tried to get up and play in the snow one more time... and then it rained. So we had a tea party instead!